Since booking an upcoming trip to the Bahamas, we’ve found ourselves daydreaming about conch non-stop! Here is a re-post of one of our favorite conch adventures. 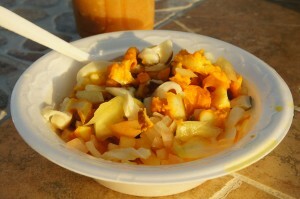 Our recent trek to Grand Bahama would not have been complete without sampling its most well-known delicacy, conch. 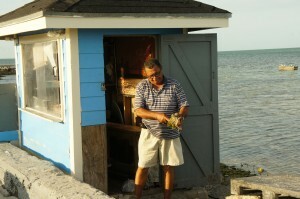 But what started out as a plan to have a little taste grew into a quest to find the best conch dishes on the island. 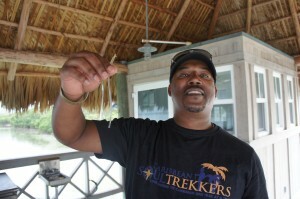 Here’s a quick recap of all the ways we enjoyed conch on Grand Bahama. 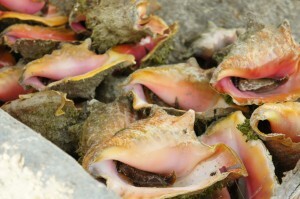 We were first introduced to Grand Bahamian conch at our home for the week, the Island Seas Resort. 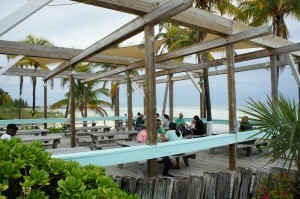 Their cracked conch lunch platter was delicately seasoned, fried to a golden crisp and served with a side of fries. It opened our taste buds to the subtleties of this island speciality. Though conch resembles fried calamari at first glance, it has its own unique taste and texture – not as sweet as clams, more chewy than chicken breast – that had us yearning for more. 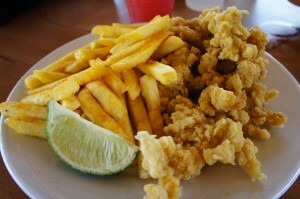 Don’t mistake cracked conch (pictured here from Island Sea’s Coconut’s Restaurant) for fried calamari. This delicacy’s unique flavor and texture are worth a try. 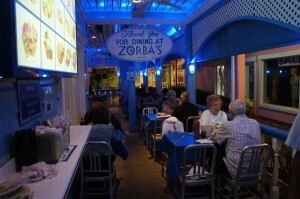 Our next conch dish, conch stew, was from Zorba’s Greek Restaurant in Port Lucaya. This was not the broth-based seafood soup served up commonly in the Caribbean. And it was not the creamy conch chowder we had so enjoyed at Anguilla’s Straw Hat Restaurant (here’s the link to that Anguilla post). Instead, it was a thick, tomato-based meal chocked full of potato chunks, carrots and tender conch morsels. It reminded me of the hearty stew commercials from my youth. Too bad we couldn’t enjoy something like this on a cool fall night back at home! 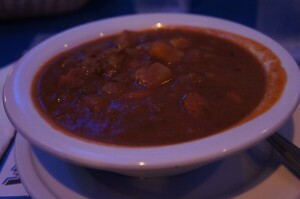 Zorba’s conch stew is a hearty meal as fit for a cool fall night as it was for dinner in the islands. With two conch dishes under our belts, we were ready to continue our quest for the best conch dishes in Grand Bahama Island in earnest. 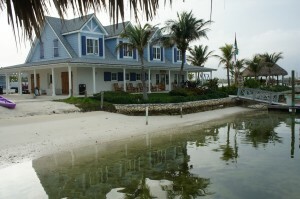 As we were still new to the island, we narrowed our search to venues in the familiar Freeport tourist area. After asking for recommendations, it was clear we could go to only one place – the infamous Billy Joe’s on the (Lucayan) Beach. 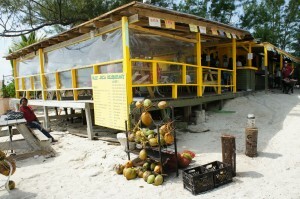 Conch is serious business at Billy Joe’s on the Beach, an island institution famous for its fresh seafood. The place was abuzz with hungry tourists and locals who sipped on beers and rum drinks, bopped their heads to music and patiently awaited their meals. 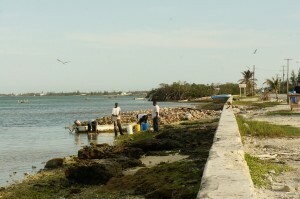 Live conch are piled high in a wheel barrel near the entrance then plucked for preparation as soon as an order is placed. 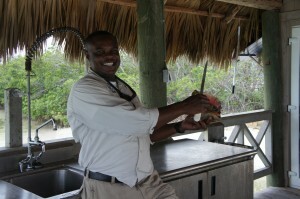 The conch chef wields a machete either for dramatic effect or to ensure efficiency while dicing the meat. The menu offered several varieties of conch dishes. We chose two – conch salad and another serving of cracked conch – this time as part of a fried seafood sampler. 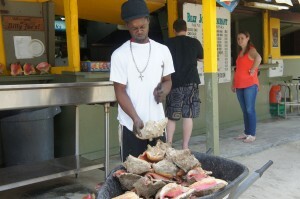 Expert preparing conch at Billy Joe’s on the Beach. 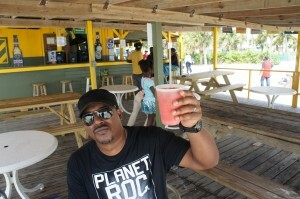 Mango Eddie raising his glass to the refreshing conch salad at Billy Joe’s on the Beach. 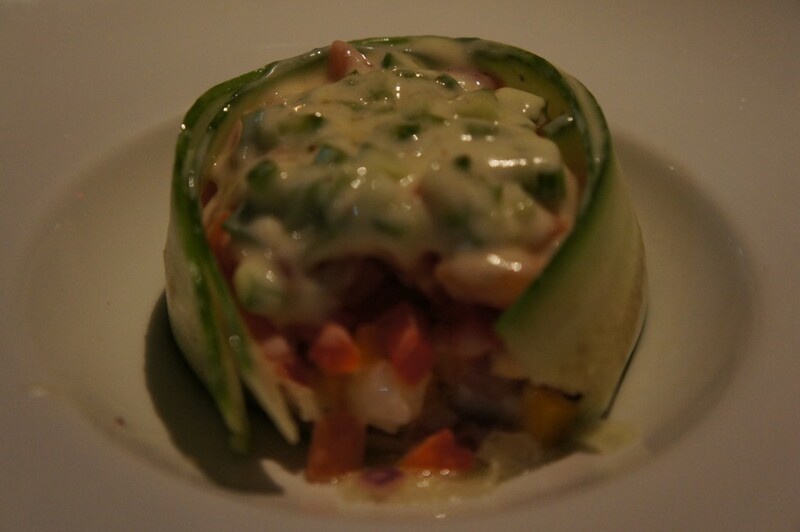 The conch salad was made to order and worth the short wait. Bits of tender conch, tomatoes, crunchy cucumbers, peppers, celery and onions were enhanced by a lime, vinegar and pepper marinate. The freshness, contrasting textures and lightness of the dish were simply delightful and perfect for an afternoon lunch beside the ocean. We fought over the last bites and scraped the bowl clean. Next, came our entrees. To be honest, we smelled them long before we saw them. The aroma of golden fried batter, light seasoning and sweet, fresh seafood wafted across the outdoor dining deck and set our mouths watering. But even so, we were not prepared for how delicious this meal would taste. Each bite began with a light crunch then continued to a succulent core of sweet seafood. This was a meal we would talk about for days. 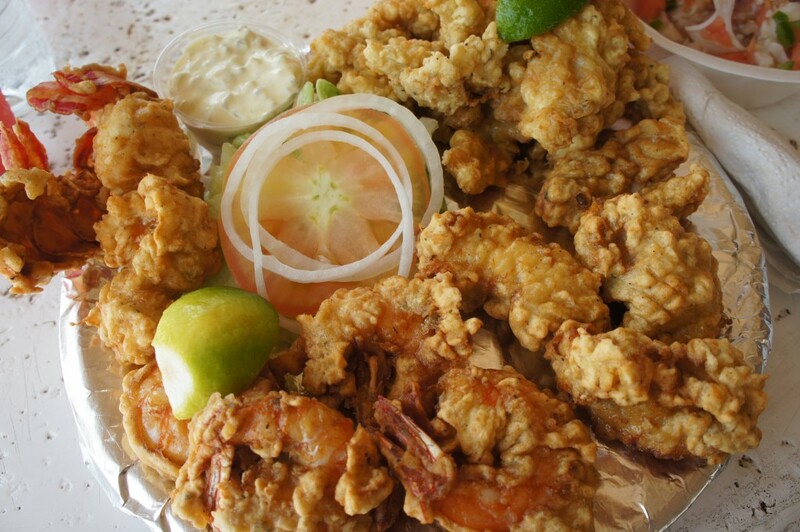 Mouth watering fried seafood platter – lobster, shrimp, oysters and, of course, cracked conch. Well done. 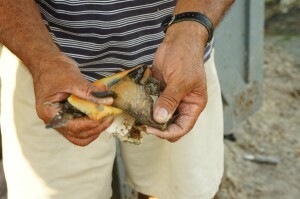 Doubting that we could surpass this conch experience, we again turned to advice from locals to find our next conch dish. 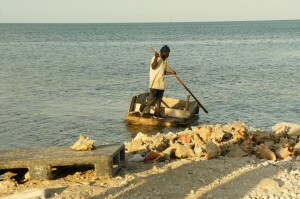 To top Billy Joe’s, we would have to venture far away from Freeport to West End, the first settlement on the island. We watched as the conch fisherman patiently plucked mature conch from the water (according to very strict laws, only mature conch can be fished) and brought his catch to the chef. Seconds later, we watched the chef use an ingenious method of puncturing the conch shell to disrupt the suction in order to extract the fresh meat. 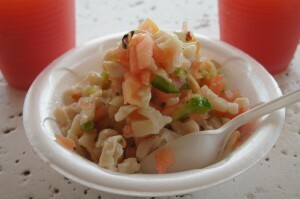 Next, he deftly diced the conch meat and prepared it either as conch salad or pickled conch. Wow! Our mouths were treated to bursts of insanely fresh conch meat accented by tart or picante seasonings. Forget about farm to table. This was ocean to table! …then delivered them to the chef. Minutes later we enjoyed the freshest seafood we have ever tasted. Simple but so delicious! A visit to the novel gastronomy restaurant, Flying Fish, provided us with yet another unique conch experience. When I placed the order for my first course, conch salad, the waiter replied “excellent choice” then was compelled to ask if I had tried conch elsewhere on the island. “Yes” I replied before recounting my conch challenge thus far. As I finished, he smiled to himself then stated “No matter what else you’ve tried, this will be something much different – something you will never forget”. The waiter returned shortly afterward with my dish in one hand and a blowtorch in another. His face had a mischievous smile. Mine had a look of puzzle. 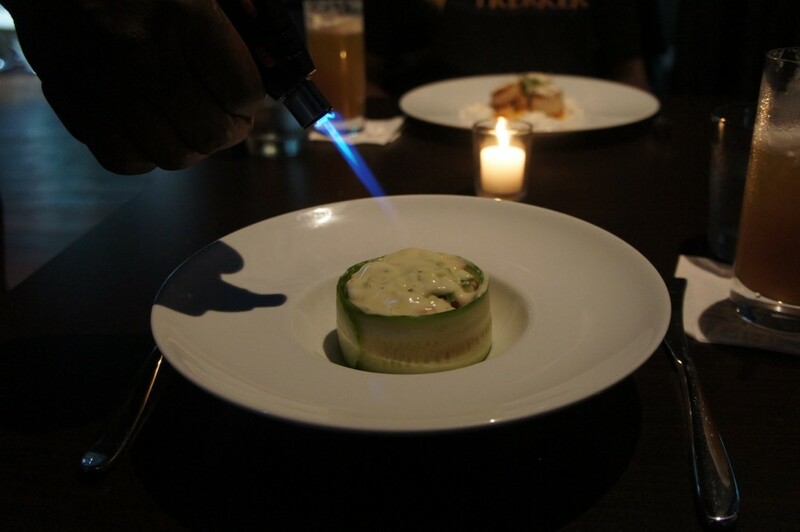 It turned out that the flame was needed to melt a frozen layer of dissolving citrus vinaigrette, allowing it to seep into the underlying core of conch salad. I had not expected my dish to be “finished” while I watched. And, I had not expected it to taste so spectacular. More fresh vegetables were present in this salad than previous versions but instead of making me feel cheated out of my proper portion of conch meat, it made me feel as though I was treated to a dense, well-composed conch and vegetable salad. …a savory conch salad like no other. At Pier One Restaurant, infamous for its live shark feedings, we enjoyed conch fritters which, I admit, we had taken for granted up until that point. Those tasty balls of fried dough and sweet/salty conch bits never cease to put a smile on my face. 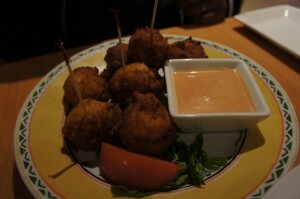 We enjoyed these light and fluffy conch fritters at Pier One Restaurant. You would think we would have been all conched out by then (in fact, we were) but there was no way we were leaving Grand Bahama without sampling every conch dish offered on the island. 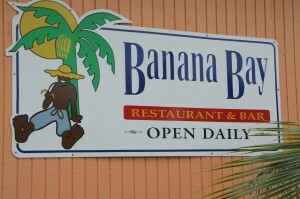 So, off we headed to Fortune Beach’s Banana Bay Restaurant for conch burgers. In my opinion, conch burgers, with their base of sauteed onion bits, fresh herbs and shaved carrots, are a bit like veggie burgers pumped up with morsels of chewy conch. But, they were a fun alternative to our usual beef burger. 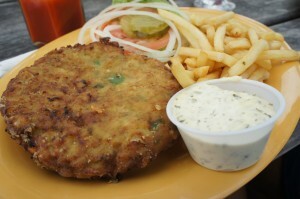 …conch burgers are more substantial than veggie burgers and a fun alternative to beef burgers. Not one to miss any unique conch dish, Mango Eddie stepped up to the plate and wrapped up our conch experience with a taste of what some consider to be the most useful part of the conch – its pistol. Regarded as a potent aphrodisiac, it was long and slender like spaghetti and had a chewy licorice consistency according to Mango Eddie. As far as the aphrodisiac part – well, you’ll have to see for yourself! …what some say is the best part of the conch! 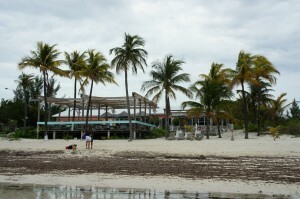 Check back soon for more posts about our Grand Bahama trek and our upcoming trip to Aruba’s Soul Beach Music Festival.